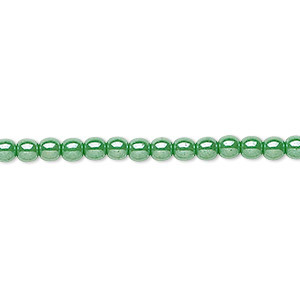 Bead, Czech glass druk, opaque iris green, 4mm round with 0.8-1mm hole. Sold per 15-1/2" to 16" strand. Item Number: H20-1139MD Have a question about this item? 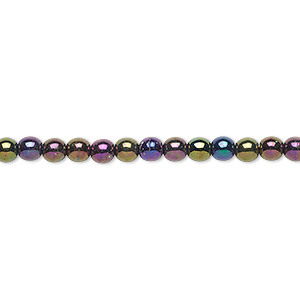 Perfectly uniform round beads, imported from the Czech Republic, are specially coated with top designer colors. Beautiful mirror finish creates a festive shine. Size and shape may vary slightly and color may vary from dye lot to dye lot. 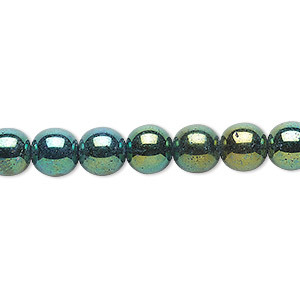 Bead, Czech glass druk, opaque satin dark green, 4mm round with 0.8-1mm hole. Sold per 15-1/2" to 16" strand. 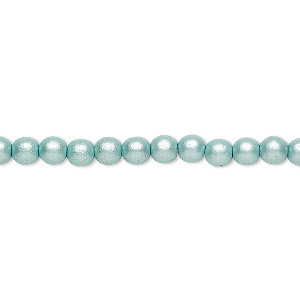 Bead, Czech glass druk, opaque satin green, 4mm round with 0.8-1mm hole. Sold per 15-1/2" to 16" strand. 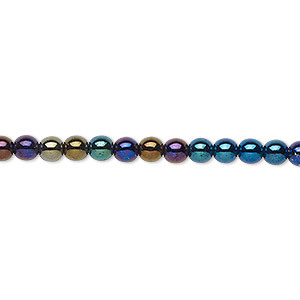 Bead, Czech glass druk, opaque iris purple, 4mm round with 0.8-1mm hole. Sold per 15-1/2" to 16" strand. Bead, Czech glass druk, opaque iris blue, 4mm round with 0.8-1mm hole. Sold per 15-1/2" to 16" strand. 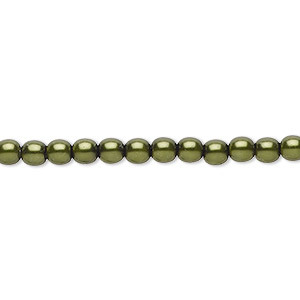 Bead, Czech glass druk, opaque green luster, 4mm round with 0.8-1mm hole. Sold per 15-1/2" to 16" strand. 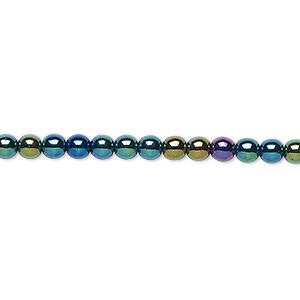 Bead, Czech glass druk, opaque iris green, 6mm round. Sold per 15-1/2" to 16" strand. 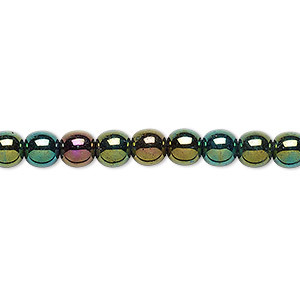 Bead, Czech glass druk, opaque iris green, 8mm round. Sold per 15-1/2" to 16" strand. 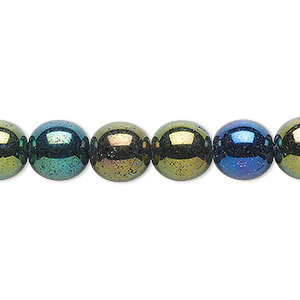 Bead, Czech glass druk, opaque iris green, 10mm round. Sold per 16-inch strand. 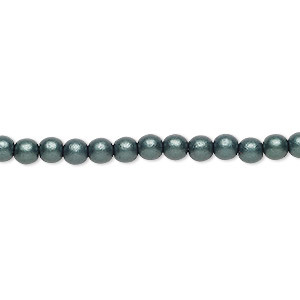 Bead, Czech pearl-coated glass druk, opaque emerald green, 4mm round with 0.8-1mm hole. Sold per 15-1/2" to 16" strand. 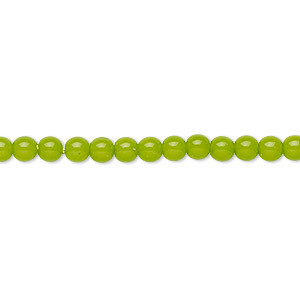 Bead, Czech dipped décor glass druk, opaque lime green, 4mm round with 0.8-1mm hole. Sold per 15-1/2" to 16" strand.